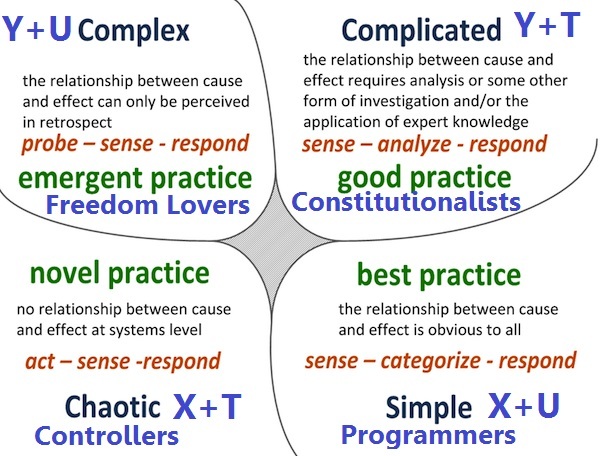 Warning: this post is primarily a theoretical nerd-out. 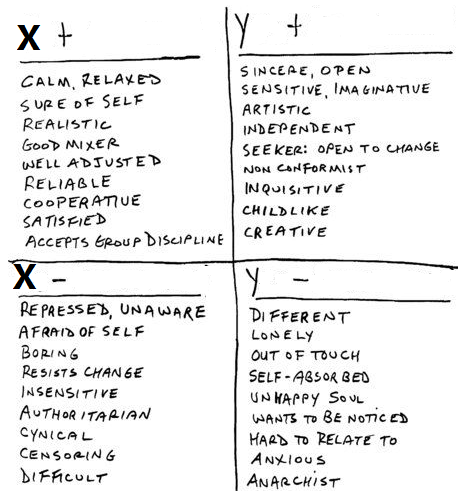 In 1960, Douglas McGregor wrote his seminal book, “The Human Side of the Enterprise“, where Theory X and Theory Y, his two theories of human motivation, were presented in detail. 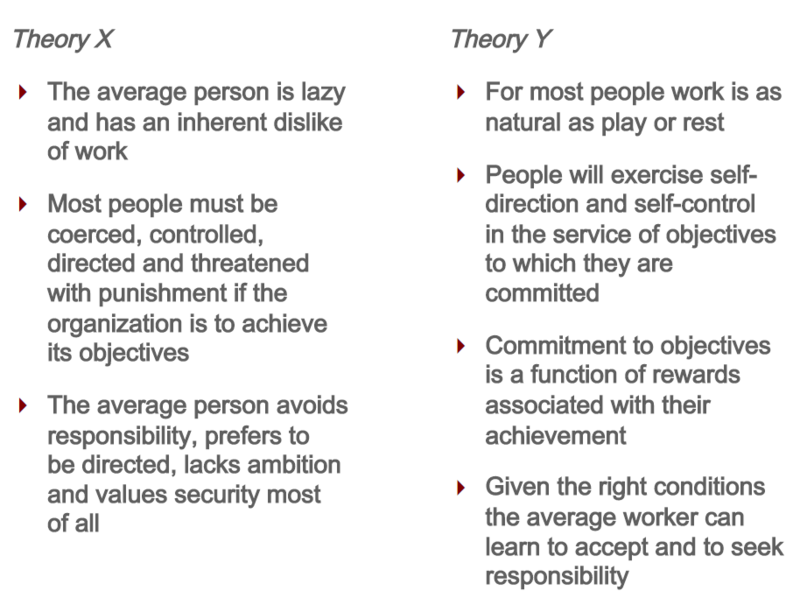 Under Theory X, people are assumed to have a natural dislike for work. They avoid responsibility, prefer to be directed, lack ambition, and value security most of all. Therefore, they must be coerced, controlled, directed and threatened with punishment for the organization to achieve its objectives. Under Theory Y, people are assumed to view work to be as natural as play or rest. Given the right conditions, people can learn to accept and seek responsibility. They will exercise self-direction and self-control in the service of objectives to which they are committed. And the commitment is a function of rewards associated with achieving the objectives. 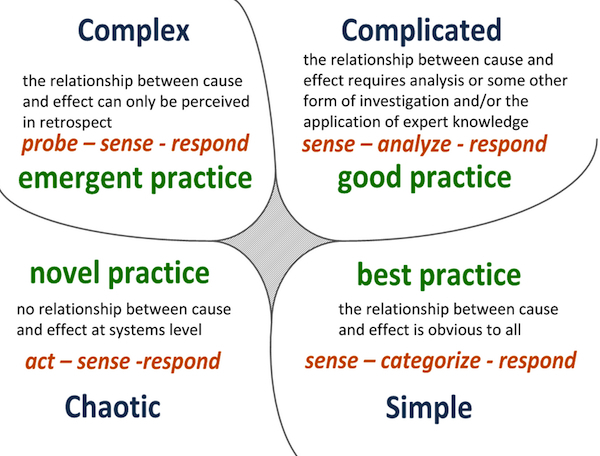 Though McGregor was explicit that those theories should NOT be viewed as the two opposites of the same continuum, more contemporary management philosophies do view them as such, and therefore advocate for management practices that assume Theory Y is the “better” one. 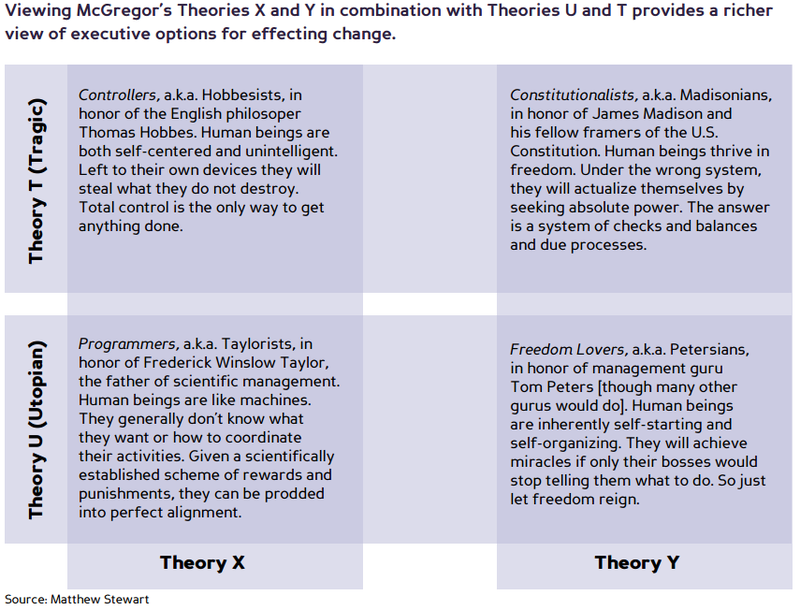 Snowden’s advocacy for a dynamic leadership style, seems to tie well with Weisboard’s dynamic view on Theories X and Y. Do they have more in common that meets the eye? The correlation is not perfect. But the similarities seem to be too many to be ignored. In my humble opinion, of course.